Day 1 - Our holiday begins as you arrive at your hotel in Harrogate, at the edge of the Yorkshire Dales. We spend four nights here at the Crown Hotel, the Holiday Inn or the Old Swan. One of England's most attractive towns, Harrogate retains many Georgian and Victorian features including its original spa buildings. After time to discover your new surroundings, and to perhaps visit the famous Betty's Tea Rooms, this evening we meet for dinner in the hotel. Day 2 - This morning we travel by coach to York, a beautiful walled city steeped in centuries of history. We discover much of the city's long and fascinating story on a guided walking tour of its main attractions. These include the incomparable Minster, which is one of Europe's largest and most ornate gothic cathedrals, and the Shambles, a quaint street that has remained almost unchanged since the Middle Ages. Following the tour, you have the chance to take in the sights of this marvellous city at your own pace. The network of medieval streets offers a unique charm and is one of York's major highlights, as is the National Railway Museum (free admission). The largest of its kind in the world, the museum boasts many steam locomotives and a selection of Royal carriages.Another popular option is the Jorvik Viking Centre, which faithfully recreates York when it was capital of the Viking Kingdom. Otherwise perhaps stroll along the city walls or take in the views from Clifford's Tower. Day 3 - Today we take a nostalgic journey on the North Yorkshire Moors Railway to the popular seaside town of Whitby. We board our heritage steam-hauled* train in Pickering and make the wonderful journey through the stunning North York Moors National Park. Our route takes us through Goathland, a charming place perhaps best known as 'Aidensfield' in TV's Heartbeat. We pass over undulating moorland and through the winding Esk Valley as we make our way to the coast in restored carriages. 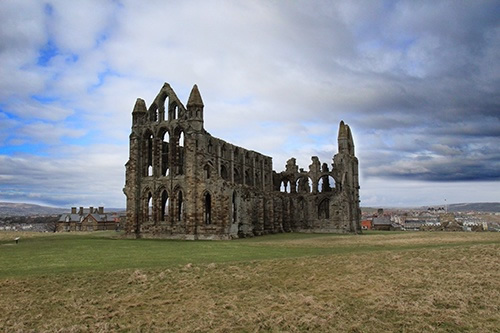 Your time in Whitby is free for you to perhaps visit the brooding abbey, explore the town's Dracula connections or simply wander through the maze of narrow cobbled lanes in this authentic fishing port's old town before our return journey on the preserved railway. *Wherever possible the rail excursion will be steam-hauled. Day 4 - Today your entire day is at leisure in this alluring spa town. You could spend the day simply unwinding and enjoy the hotel's facilities, or explore this charming town further. Known for its verdant parks and gardens, you could take in the delightful Valley Gardens or the incredible landscaped gardens at RHS Harlow Carr. Alternatively you might like to indulge in relaxing treatments at the Turkish Baths, while admiring the Royal Pump Room. If you have not done so already, why not enjoy a sumptuous afternoon tea at Betty's Tea Rooms? Day 5 - Leaving Harrogate behind, today we travel on the famous Settle & Carlisle Line. The 72-mile route is regularly voted one of the world's top railway journeys, and once we set off it is easy to see why. Once in Carlisle we transfer onto the Hadrian's Wall Line to Hexham, where we continue by coach to our hotel - either the historic White Swan Hotel in Alnwick, or the 4-Star Linden Hall Hotel in Longhorsley. Both hotels offer comparable accommodation in Northumberland. Day 6 - This morning we enjoy a guided tour around the beautifully landscaped Alnwick Gardens. The gardens are a vibrant place; magnificent architecture and lovingly tended plants and flowers are brought to life with a variety of water features. Day 7 - Today we cross the wild Northumberland countryside to Bamburgh, a scenic coastal town dominated by the magnificent Bamburgh Castle, before visiting the famous island of Lindisfarme*. Day 8 - After breakfast in the hotel, we transfer to Alnmouth station where we join the East Coast Mainline route back to York (First Class), a fitting place to end our adventure. SOLD OUT 2018 - COMING SOON! The White Swan Hotel was awarded Great Rail Journeys' Bronze Award for Food in 2011. The Linden Hall Hotel was awarded Great Rail Journeys' Bronze Award for its excellent customer service in 2011. To book this offer, or for more information, just call us on 0800 849 1285, quoting reference number 232698.